The Matlacha/Pine Island Fire Control District Board of Commissioners has awarded the contract for Fire Station #4. 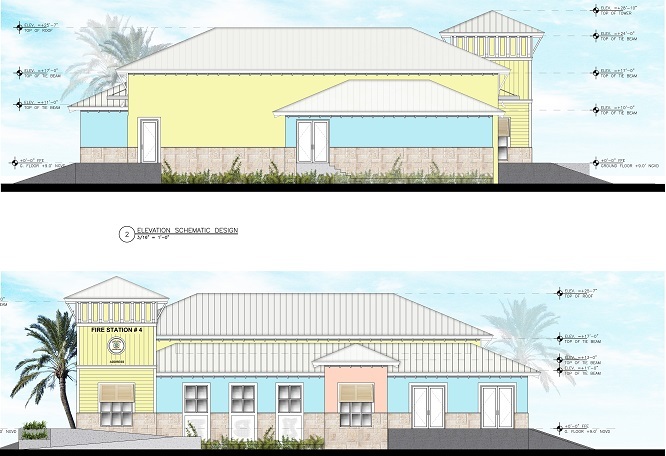 Vantage Construction Services, LLC, a commercial general contractor, and Castellanos Tramonte Architects will work with the District under a design-build contract for the facility to be located at 3500 SW Pine Island Road. In keeping with the District’s mission to provide strong community-oriented fire control and rescue services, a review determined that a new station, located East of the drawbridge, would decrease response times and could improve Insurance Service Office (ISO) ratings. The new station is in the early construction phase, the plans include four enclosed sleeping quarters, a community room, three bathrooms 2 fire apparatus bays, a kitchen, storage and exercise rooms. The building will be approximately 6,142 SQ FT with the option for future expansions. Rounding out the professional team, TDM Consulting, Inc., and Passarella & Associates Inc., will provide civil engineering and environmental consulting services respectively. The team studied the island’s architecture and integrated many of those features to create a design that is truly community oriented. The expected construction completion date for the new station in mid May 2019.